I do miss the now-defunct MyCokeRewards program and all the freebies that we used to get from them. The current Coca-Cola Rewards program is an anemic replacement for MCR, but this month, they've got a few worthwhile rewards going on. To enter codes for these rewards, click here and log in with your old MyCokeRewards account (or create a new one). 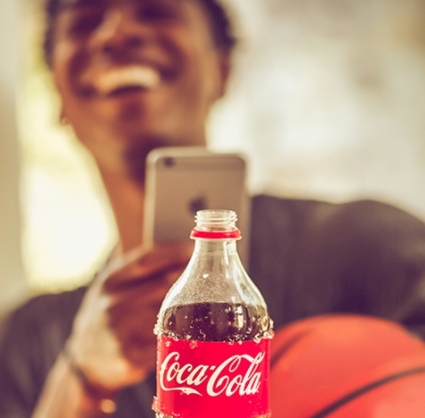 Each of these rewards is limited to one per account, but you can have up to five Coca-Cola Rewards accounts residing at one address, so open accounts for your spouse and kids. Free $2 Amazon gift card: look for the words "Enjoy $2 off a Coca-Cola 12-pack on Amazon.com." Enter 3 codes from Coca-Cola brand 12-packs (must be 12-packs) and you'll immediately receive a $2 Amazon gift card code. Enter the promo code here on Amazon, in order to redeem on your Amazon account. Free AMC drink, popcorn and movie ticket: look for the words "Make Your Trip to the Movies Epic with a Coke." Enter any 5 codes for a free large drink at AMC theaters, enter another 7 codes for a free large popcorn and enter 10 more codes for a free AMC movie ticket (22 codes total for the free AMC movie ticket). The free popcorn is kind of useless to us, because we keep kosher, but we'll just give that one away. The free soda and movie tickets will be part of our first post-sefirah date night. They basically send links to your email address that will pull up a bar code that the theater cashier can scan (pull it up on your cellphone when you get to the theater). Free FandangoNOW movie rental (up to $6.00): look for the words "Stream Fun Tonight with an Ice-Cold Coke." Enter any five codes for a free rental. The free rental promo code expires on 10/11/18. Go to Fandango to redeem.